"What Memories Will You Have..."
Teen Birthday Parties with our Dance Crew! GEC Events is LA's #1 Affordable DJ & Lighting Company! Our team has also taken the guess work out of budgeting your event by giving you the option to customize your package depending on your budget. We are also the official entertainment for Knott's Berry Farm, Universal Studios Hollywood and LA Zoo! Did you know we are the ONLY DJ company that offers your guests the feature of Texting Their Music Requests directly to the DJ? This unique and exclusive feature has made us different among ANY other company. We also have the most talented group of street team members that can travel anywhere in Southern California! They did a great job of involving the kids of the party by inviting them to be "guest dj" and perform in dance contests. GEC Street Team was awesome! We had more team members dancing this year as a whole and had more folks stay to the end of the event dancing than in years past. Additionally, they have a "text the dj" feature allowing anyone to text their song choice. Brilliant idea! Thanks again to GEC Street Team and Oscar for swell time! Thank you Jerry for the kind words. We will see you next year! Oscar was fantastic, very accommodating in planning the event, always available to answer emails. During the event, he kept the party going, he was appropriate in interacting with the guests, incorporating fun games and getting people on the dance floor. Our favorite part was being able to text our requests to him! GEC Street Team did an amazing job for my daughter's Sweet 16 celebration. The service was phenomenal. Oscar is super nice, very professional and easy to work with. 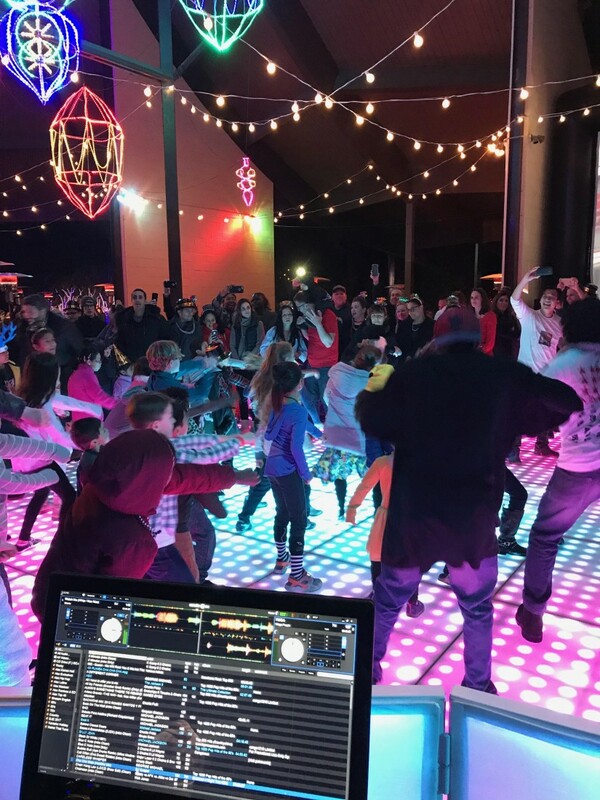 The DJ, the break dancers and the lighting he provided were a hit with my daughter and all the guests had a spectacular time! After much research, I am so glad I found this DJ team. I highly recommend and give them 5 stars all the way! good experience and GEC Events would be recommended. We had my son's baptism on July 19 and we heard nothing but great things about Oscar at the Naval Base. We were not sure what to expect but we knew all of our guest were going to have a great time. All of my family loved Street team, DJ Oscar including me! He went above and beyond our expectations and recommendations! We were extremely satisfied. Thank you for an amazing job! Our school was looking for a DJ for the Father~Daughter Dance so we decided to hire GEC Street Team! Probably the BEST decision we made. Not only was Oscar professional, courteous and organized but he also captivated the audience the WHOLE time. We received so many compliments throughout the night and even after the dance people were raving about how great our DJ was- Oscar is the best and we will be hiring him again! Thank you, GEC Street Team! Oscar and his team delivered everything they said they would, but even better than I could imagine. Months before our event, Oscar met with us to hear our ideas and offer suggestions. He then followed up after that initial meeting at various intervals to: 1. make sure that we were comfortable with the plan, 2. send us clips of songs to critique so he would know more of our taste preferences, 3. to go over schedule and timing, and 4. to offer help with the set up of our event on top of setting up his portion. When the big day arrived, Oscar who was the Emcee, Alex, the mixer, and the dancers were punctual and more fantastic in person than any clips I saw of their prior events! They were able to get reluctant and shy guests to get on the dance floor and have fun. They seemed to know exactly what the party needed. Sometimes they introduced games that were not just your run-of-the-mill contests which had our guests fighting to participate in or being cheered on by the group. At other times, they had some guests come up to the mixing table and learn to mix their own music. When it came time for the dancers to take over, they were able to show off their talent and include all guests no matter their level of ability or experience. I would recommend the GEC Street Team over and over again to anyone who wanted first class entertainment at their event. Great DJ, Great service and price! DJ Oscar was awesome! I like his approach, his style, and maintaining great communication with me so that we could better plan the music for the dinner dance last February 8. I am sure he felt challenged because of some seemingly very demanding guests, but I am so very glad he talked to me about the music and above all, agreed to play what was being requested. That's very important to me when I choose a DJ----he played what I wanted, based on what my guests wanted. He made all the accommodations necessary for our requests (equipment-wise). He also went around to ask requests from some guests who really did not want to have to go up the stage to request. I hope to be able to get DJ Oscar again on any future dances or events I organize. He may not be readily available because of other bookings, but I still want him to play at my event. Thanks so much! The amazing night and pace of my absolutely fantastic wedding reception was due to the quality of service we received from GEC Street Team as the DJ for our reception. We were worried because we had a very mixed crowd, it was a bilingual wedding with guests of all ages. The music was appropriate for all cultures and ages and everyone was on the floor dancing. The DJ kept the pace moving, the mood lively, and kept the guests involved in all of the activities. All announcements and introductions were done with the utmost professionalism. The lighting was fantastic and our pictures are just fabulous! Everyone cannot stop talking about what a great time they had! The only disappointment came from a guest that caught the bouquet, she was upset because the DJ didn't come with the bouquet! We enjoyed the lighting, screens, and loved the interactive ice breaking games! Everyone got involved and had fun! Thank you for adding a great touch to our Company Holiday Party!!! Top notch! Customized - professional and reasonable! Oscar was so professional and prompt on all communication. He set up quickly and packed up efficiently. The packages he offered were extremely fair and exceeded our expectations! The best part was the perfectly customized song list. Our daughter knew exactly when her next favorite dance song was coming up at her Sweet 16. We hired Oscar as our DJ for our Xmas Party, and he was very professional and everyone enjoyed his music and games. Thanks you for all you hard work Oscar! Many thanks for a great Trunk or Treat night! We will definitely use GEC Street Team for future events! The manner in which Oscar and his team prepared for the party and engaged our son in the planning was most impressive. From the lighting to the games, from the soundtrack to the stylish setting, GEC brought a spirited, flexible can-do attitude to our event. Review by Craig A. A. T. S.
The lights, music, keeping the kids engaged and maintaining a high energy party atmosphere were all signs that these guys knew how to manage a crowd of teens that are not easily entertained. From trivia games to music requests, from making the Bar Mitzvah boy feel special to keeping the rest of the kids dancing throughout the whole affair, we could not have been happier. I would recommend these guys in a heartbeat. They are not only reasonably priced but present a real value in the way they come in, set up, keep the energy high all night and clean up without a trace, all with a smile and happy demeanor. The office and pre-party communication was great and the way they suggest things you may not have thought of really show that these guys know what they are doing. Feel free to use us as a reference, we would do so with no hesitation. Our company holiday party was a night out at the Casino. All of the Street Team staff made sure that EVERYONE had a great time, which we all did. The Street Team is VERY professional and detailed oriented. The event ran without a single problem as a result of the Street Team. HIGHLY recommend everyone to attend an event given by the Street Team. at a park with dozens of kids and GEC Events kept them entertained all afternoon. Great Job! I have used GEC Events Street Team for the past few years to participate in our annual Holiday Jam Festival. This event brings us 300 young kids, both boys and girls, ranging in ages from 8 to 11. Oscar and his team are terrific! They are very engaging with the audience and gets all the kids involved. A great performance! The GEC Events Steet Team has performed at many of our corporate events during the years...both at company picnics and holiday parties Their Street Team is definitely the Life of the Party!!! Their show is entertaining for both young and old. Their DJ's and MC's are great at engaging the audience and involving everyone in the fun! Everything that they do is truly family friendly ...games, music, etc are all tasteful and appropriate. They are incredibly professional and affordable. I have even referred them to my kids school where they have performed at numerous school functions and fundraisers. Great energy....great fun!! The excitement starts as soon as we pull-up in our trademark GEC Street Team Vehicle. We have made the extra effort to ensure your audience will truly remember our performances. Whether we are getting ready for a formal wedding or entertaining a family corporate event, our reputation is to deliver. With every event we have learned how to better ourselves and with over 10 years of experience, we don't expect anything less than professionalism and commitment. Did you know we are the ONLY DJ company that offers your guests the feature of Texting Their Music Requests directly to the DJ? This unique and exclusive feature has made us different among ANY other company. We have also taken the guess work out of budgeting your event by giving you the option to customize your package depending on your budget. You no longer have to select what other DJ's tell you to get, instead you get to select what you can budget to get. The more items you select the bigger the savings you get! We also have an amazing Lighting and Entertainment Selections to ensure your event will never be forgotten! Contact us today to learn how we have innovated the way you will hear and see music at your next event. We also offer our very popular Party Bus/DJ Packages that will save you money and add even more to the experience!!! * Ability For Your Guests To Text Their Music Requests Live! * Build Your Own Package On Your Budget! 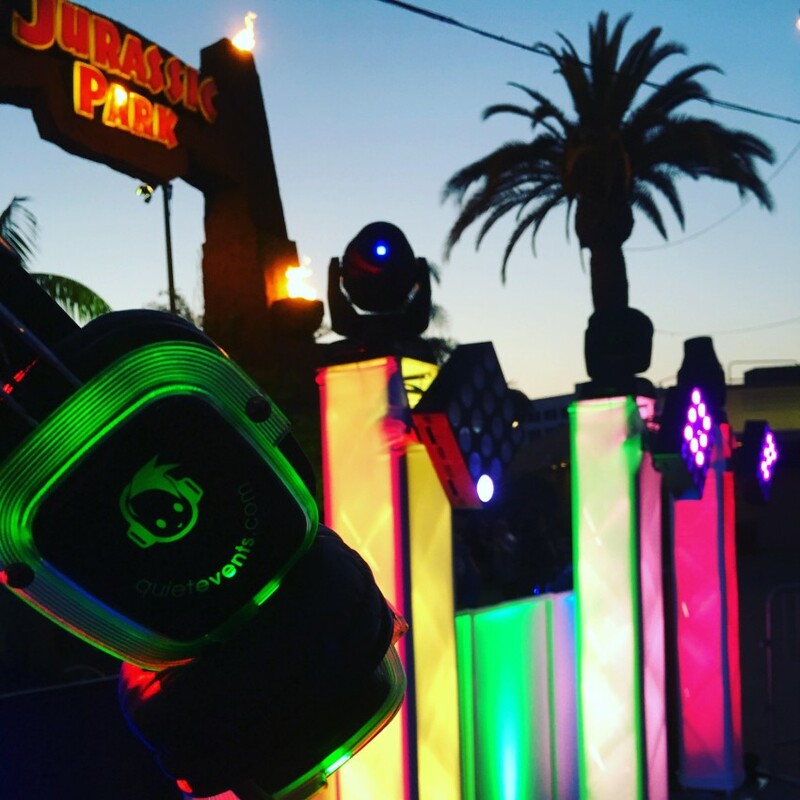 No matter the occasion, our GEC Street Team DJ's will ensure your event will be unlike anything you have ever experienced. Since we also organize large scale community events (Teen Party Expo, Latinazo Musical, LA LA Music Fest) we have a wealth of resources at our disposal. We know times are tough and will always provide a referral at no extra costs to our clients. Why should you pay more for something we don't own. Our biggest influences have been our audience. We know that you are truly to thank for making us the success we have become. Every event that we have done has taught us something new that has made us better. No artists in the world can compare to the creativity we find in our clients. Northridge Hospital Medical Center presented us with a Certificate of Appreciation for our contributions and support of the Children's Holiday Jam. The City of Los Angeles awarded us with a Certificate of Apprecation for our support of local organizations in making the city a better place in which to live. The City of Los Angeles Fire Deparment awarded us with a Certificate of Recognition for our support of the Grand Opening of Fire Station #84. The City Of Los Angeles presented us with a Certificate of Recognition for our organization of the "Pacoima Holiday Parade and Family Festival". The event brought over 20,000 guests which included several key city officials and celebrities. The California State Senate presented us with a Certificate of Recognition for our organization of the "Hansen Dam 4th of July Spectacular". The event brought over 50,000 guests and has been our largest and most succesful city event. The Department of Recreations & Parks awarded us with a plaque for our support in the 2008 Salute To Recreation.